Cutting down the amount of carbohydrates in your diet could raise your chances of conceiving, British fertility experts said at the European Society of Human Reproduction and Embryology in Geneva. Dr Gillian Lockwood of the Midland Fertility Clinic in Tamworth, Staffordshire, says she encourages the couples who are trying to conceive to eat more lean protein and leafy vegetables. The Telegraph reports that doctors are now advising lower amount of refined carbohydrates— such as those in bread and pasta—to women who are planning to conceive. They also encourage patients to select muesli, porridge, eggs and yogurts over processed breakfast cereals. “I tell my patients that if they are going to have toast for breakfast, then that is their carbs for the day,” Dr. Lockwood said. Dr Lockwood highlighted research that found women who consumed lesser amounts of carbs had four times the success rates in IVF as compared to those who were on standard diets. 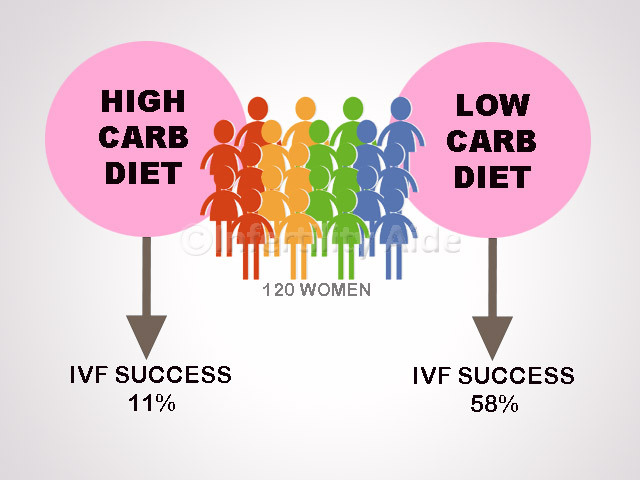 A study by the Delaware Institute for Reproductive Medicine (DIRM) in Newark observed 120 women undergoing IVF and divided them into two groups – high carb diet and low carb diet. 58 percent of those in the “low-carb” group conceived successfully with IVF and had a baby. While in the other group (women with high-carb diet), only 11 percent had a baby. Researchers concluded if you are trying to conceive, you should try to have less than 40 per cent carbohydrates and up to 35 per cent protein in your every day diet. How do carbs affect fertility? Female egg quality and capability of conception are both affected by carbs and evidence suggests that you can almost double your chances of conceiving if you follow the low-carb diet that doctors are now encouraging. Excess of stodgy food may hinder or even stop your ovulation, according to the recent report. Refined carbohydrates are simple molecules that quickly break down, causing a quick rise in blood sugar. Over time the sugar processing mechanism of our bodies slows down, which possibly damages the body cells including reproductive gametes (sperm and eggs). In a different study, back in 2013, a team led by the Delaware Institute for Reproductive Medicine reported similar findings. They studied 120 women that were undergoing fertility treatment. The ones who had 40 per cent carbs in their diet were found to have a pregnancy rate of 63.2 per cent – almost double the 33.8 per cent rate of the group with higher carb intake. The lining of the womb also becomes less receptive to an embryo in women who consume higher doses of carbohydrates. “We know that diet has a major impact on the chance of conception and on egg quality and increasingly it seems that carbohydrates play a particular role,” says Professor Adam Balen, chairman of the British Fertility Society. Do you have any thoughts on the best diet for conception? Do you think it really works? What is the best diet for IVF success? Researchers have found that low-carb, high-protein diet could improve your chances of conception. 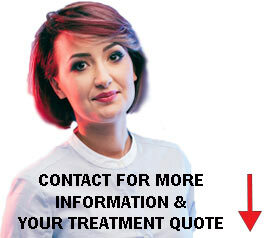 How to select your IVF clinic?